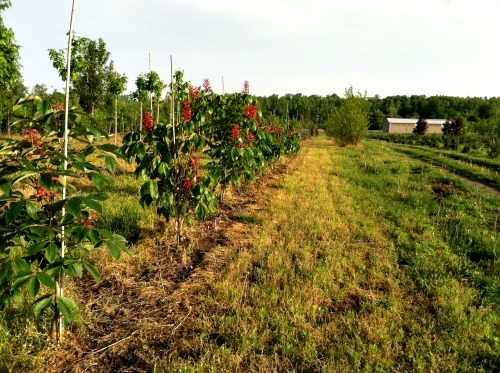 Our field area is mainly used for growing trees, hedges, and shrubs for landscaping projects, retail inventory, and plant trials. 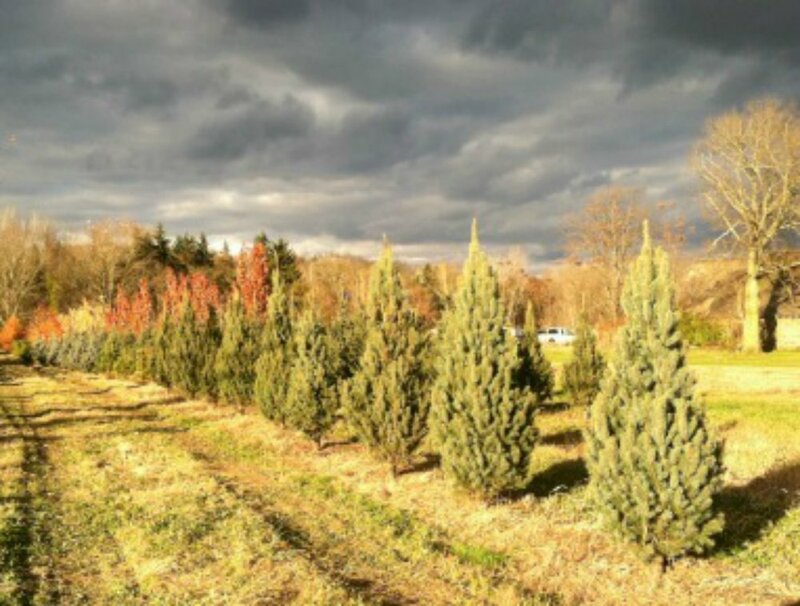 Evergreen Trees well known for their all-year round green leaves and foliage during the coldest climates. Evergreen trees are mostly conifer trees. 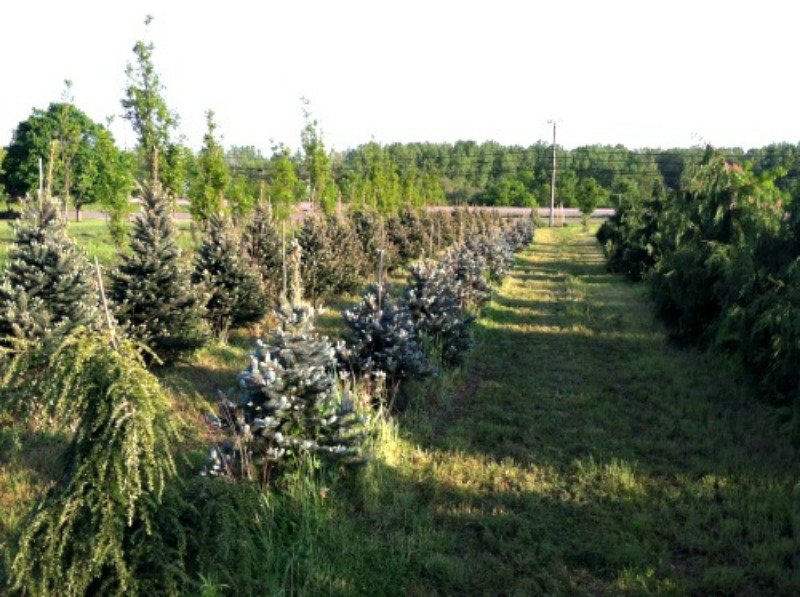 Conifer family includes, pines, firs, cypresses, and spruces. Conifers are known for its narrow leaves and sharp needles, but not all conifers have sharp pointed needles. 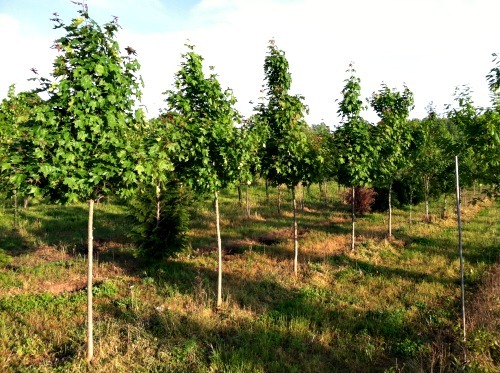 Our maple trees are one of most popular variety of shade trees, they are known for their medium to fast growth rates. The Autumn Blaze and the Red Pointe Maple turn gorgeous bright orange and red shades that produce eye-catching colors during the fall season and grow around 2.5' per year if not more! We have carry all sizes in maple trees, but out in the field you can find maples around 1.75" caliber to 3" caliber (width of the trunk. 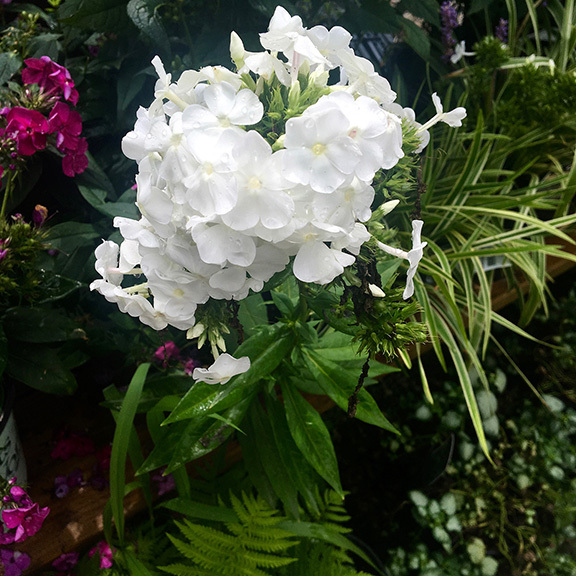 Please note: This location is separate from our garden center maple tree selection. Red Buckeye trees are great to plant in the spring or fall, they also a native to Ohio. Buckeye trees like to grow full sun to partial shade and they are adaptable to most soils.